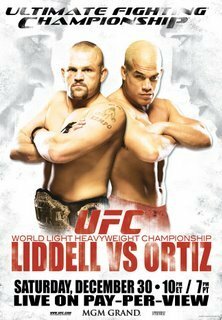 UFC 66: Liddell vs. Ortiz 2 was a mixed martial arts event held by the Ultimate Fighting Championship on December 30, 2006 at the MGM Grand Garden Arena in Las Vegas, Nevada. UFC 66's main event was a championship fight with two of the UFC's biggest light heavyweight stars, Light Heavyweight Champion Chuck Liddell defending his title against former champion Tito Ortiz. 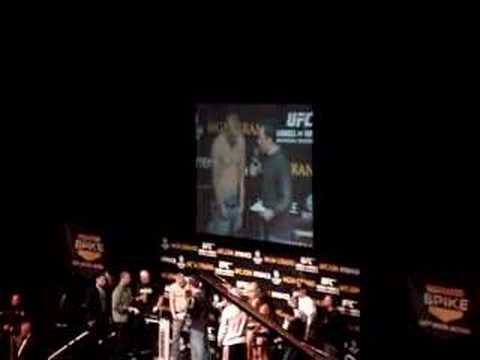 This was first announced by Ortiz at the UFC 63 weigh-ins on September 22, 2006. The co-main event saw Forrest Griffin take on 'The Dean Of Mean' Keith Jardine and also saw the return of Andrei Arlovski and the debut of Michael Bisping. During the event, it was made official that Mirko "Cro Cop" Filipovic had signed a contract with the UFC, and would make his debut with the organization at UFC 67. The event was the UFC's first show at MGM Grand Arena since UFC 56, and was nearly sold-out, producing the highest live gate revenue in North American mixed martial arts history, extending the previous record at UFC 57 by over $2,000,000 (USD). 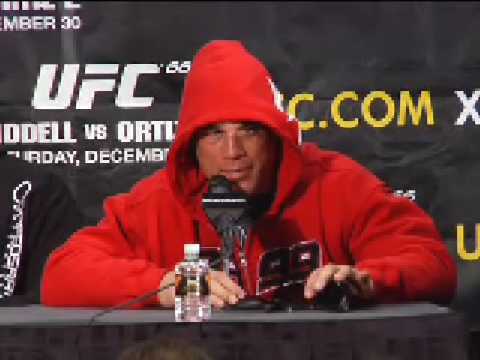 At the time, it was estimated to be the UFC's biggest pay-per-view success with just over 1 million buys. The disclosed fighter payroll for the event was $767,000.